John is Regional Managing Director for Duke CE Asia, based in the Singapore office. He leads Duke CE’s activities in the Asian region and works with clients across a wide range of sectors in designing and delivering custom leadership solutions to help their organisations prepare for growth opportunities and challenges. Prior to joining Duke CE, John was Dean and Professor of Marketing at SP Jain School of Global Management Dubai-Singapore-Sydney. Previously, he was Professor of Marketing and Department Chair at Emerson College; Interim Marketing Department Chair at University of Oregon; and Professor of Marketing Practice and Director for the Centre of Marketing Excellence at Singapore Management University. He received the ‘Best Professor of Marketing’ by Asia’s Best B-School Awards, the BAC Teaching Award from University of Oregon and ‘The Most Inspiring Teacher’ from Singapore Management University. He has also taught at the International Olympic Academy in Greece and in executive education programs worldwide for leading global organizations in Europe, Asia, Australia/New Zealand, North America and the Middle East. John led national and global marketing organizations within Fortune 1000 companies including Nike, Informix and Transamerica. He and his marketing teams launched dozens of new products worldwide and, in his business development responsibilities, acquired companies and developed strategic partnerships. He also co-founded two firms: an award-winning boutique hotel company and a brand strategy firm. John’s industry experience has inspired his academic work, bringing practitioner insights into the classroom with students and executives and directly influencing his published research. The common link throughout his career has been a deep commitment to sound leadership and transformative marketing. His analysis has been featured on BBC, CNBC, MSNBC, ChannelNews Asia, Bloomberg, ESPN, ABC (Australian Broadcast Corporation) and the New York Times. John’s industry/academia combination has led him to speak at a wide range of global conferences, including TEDx (Shanghai), Human Capital Leadership Institute Summit, GlobalBrandForum, the American Marketing Association, the BrandFinance Annual Forum, EduTech and the World Knowledge Forum. His career experiences have led to publishing ten (10) business and marketing books, translated into multiple languages, including his most recent: Measuring Marketing: The 100+ Essential Metrics Every Marketer Needs (3rd Edition 2018). 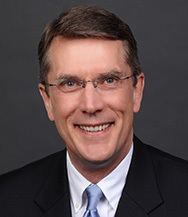 In addition, his books include The Market Oriented University co-authored with Dr. Mark Farrell; Sports Marketing-Creating Long Term Value, co-authored with Jessica Zutz Hilbert; The Olympic Games Effect; Competitive Success; Magic Numbers for Sales Management; and Magic Numbers for Consumer Marketing. John has also published in leading journals, including Harvard Business Review online, Dialogue Review, International Journal of Advertising and Middle East Business Intelligence. John received his MBA from Columbia University and his BA from Stanford University. Most importantly, John and his wife Barbara have three wonderful children and two goofy dogs.